Our refurbished Intermec 4440 EasyCoder is a 400 dpi, high capacity industrial strength printer based on the field proven Interemc 4420. The 400 dpi print resolution makes the refurbished Intermec 4440 EasyCoder printer ideal for applications requiring exceptional print quality. Contact us today about buying, servicing, renting or selling Intermec 4440 gear! 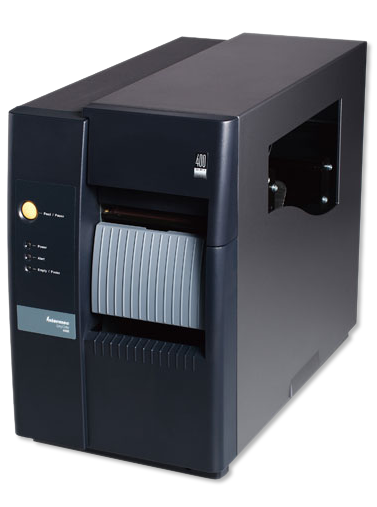 The Intermec 4440 EasyCoder printer features a ten inch per second print speed. The design allows for a full 8″ diameter roll of media and 450 m (18,000″) ribbon to maximize operator productivity. When equipped with the optional internal self-strip and full roll batch take-up the Intermec 4440 EasyCoder can print and rewind a full 8″ diameter media roll. All units ship with product documentation. Includes Intermec LabelShop START barcode label design software. Contact us today about buying, servicing, renting or selling Intermec 4440 gear!